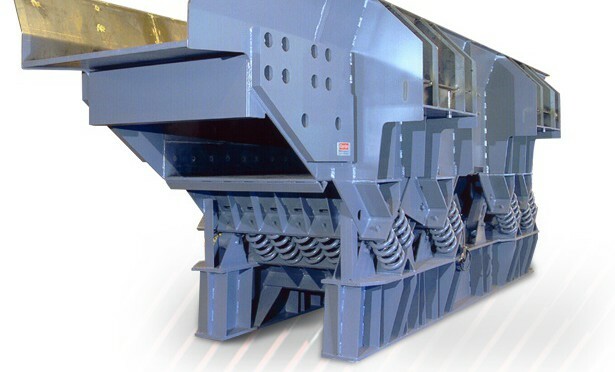 The Carrier foundry equipment line includes fluid bed sand coolers, Delta-Phase® shakeouts, furnace and blast charge feeders, attrition mills, and heavy-duty conveyors. Carrier has developed processing equipment to meet the needs of a broad range of industries, including chemicals, synthetics, foundry, glass, food, dairy, pharmaceuticals, explosives, wood, coal, mining, metals, scrap, and recycling. We pride ourselves on our extensive customer base and our commitment to excellence. Carrier continues to bring new technology to the market, as well as new value to existing technology through its Research and Development Lab. The objective is to continue to create new or improved technology, resulting in improved processes, improved products and improved services! Carrier Vibrating Equipment is a "bulk-online Leader"